Be the first to hear about their new releases and deals. Download the Booksprout app and search for Jamie DeBree today! Writing in several genres, Jamie and her "alter-egos" use fiction to explore human nature and relationships. Sometimes fun and campy, other times dark and deep, she strives to make her readers think about why we do what we do. 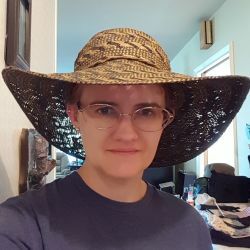 When not writing, she wrangles data for local government, takes care of her beloved dogs and husband, and tries to juggle way too many hobbies for any one person. Eavesdropping in bars is one of the most lucrative to keep the idea well filled.